I'm elated to once again join Sloan Wainwright, her briliiant band of merry music-makers, as a 'Sloan Flake' for her popular annual holiday concert. This year we’re doing it up at the Towne Crier, here in my hometown of Beacon, NY! 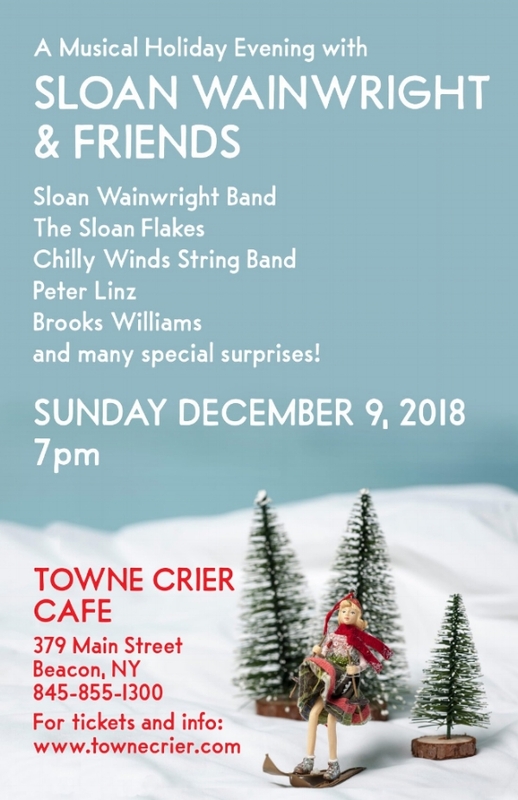 A merry time celebrating the season with Sloan and so many friends...with the Sloan Wainwright Band, the harmony-filled, dancing Sloan Flakes, and special guests Sam McTavey, Brooks Williams, Muppet-Master Peter Linz and the Chilly Winds String Band!